The Bull Inn is a Grade II listed building that has been at the heart of local life since the 16th Century, serving an eclectic bunch of customers from local gentry to labourers and, most likely, larcenists! On the well trodden path from the south coast to London, the Bull was a welcome stopping point before the trudge over the North Downs and still marks a stop-off point for cyclists doing the London to Brighton or Eastbourne routes and local hikers, ramblers and dog-walkers. Formerly a hotel, The Bull has been operating as an inn for hundreds of years and must have seen its fair share of Limpsfield life, both good and bad! Today, it’s much loved by locals and visitors alike, but still plays a part in many local goings-on! 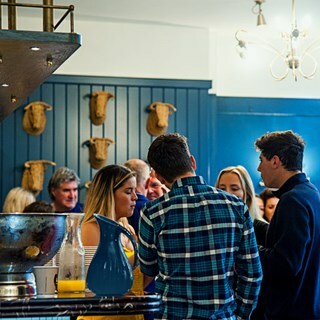 Until the late 1800s, The Bull was owned by Bushell & Co of Westerham, but has been a free house for many years, supplying many locally brewed beers, particularly those from Westerham Brewery and known for its great food, roaring fire in the winter and friendly atmosphere. 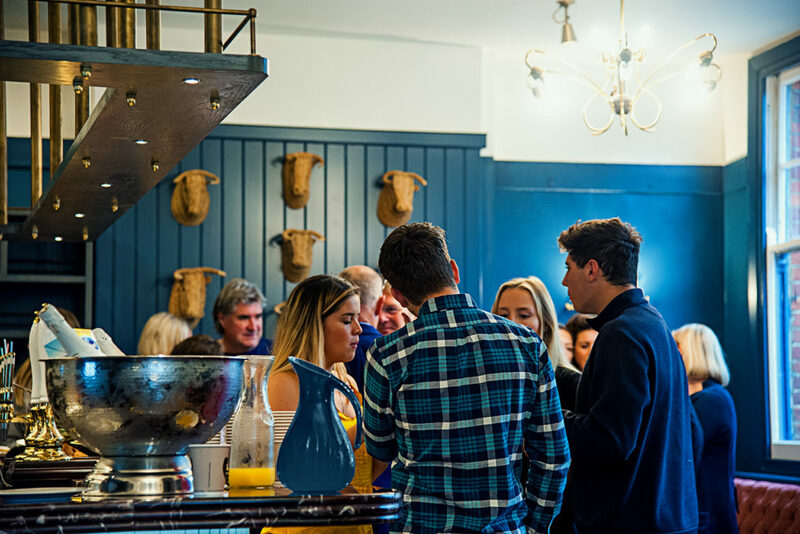 The Bull will soon be the venue for Enterprising Limpsfield Ltd, an exciting new venture that aims to provide a community hub to promote local food, drink and other locally-owned small businesses. 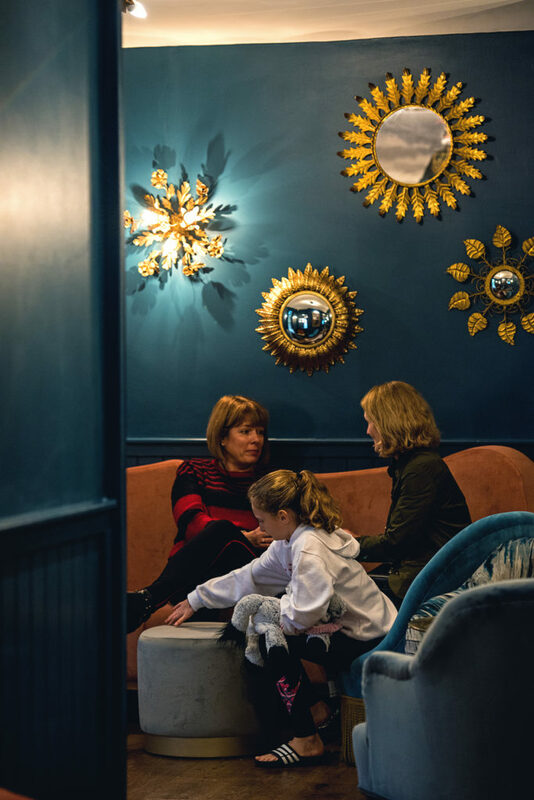 The new business aims to be open by the early Autumn 2018, following extensive refurbishment. As part of the purchase by Enterprising Limpsfield Limited, The Grade II listed building has now gained protection as an Asset of Community Value (making it subject to additional protection from development under the Localism Act 2011) and ensuring The Bull Inn will continue to play an important role in Limpsfield for many years to come. This was our first visit, we were very impressed with all the Bull had to offer. It's a very informal and relaxed space. A great menu; I really liked the option for the smaller portions. Don’t see how you can put two potatoes on the plate ,for a roast dinner? Food and service great, no hand towels in the gents. Our first visit to the Bull after trying to get a booking several times before at short notice - only to find they were fully booked. Now we've been we can understand why! We couldn't fault the food or service and will definitely be back very soon - just need to remember to book in advance!! Charming attentive staff, excellent food, unusual comfortable decor, good atmosphere. Will come again. Small portions were perfect for lunch. Nice atmosphere - one or two minor service hiccoughs but overall a pleasant experience. We will come again. A lovely atmosphere and great food and drink. Love the new decor too. 2nd visit to The Bull & once again there was no full menu available! The chef was blaming deliveries not arriving, but in truth it has to be the shambolic organisation of the kitchen. It is not down to waiting staff to apologise for their shortfalls. We didn’t eat as such poor choice, we went to The White Bear. We will not be returning for a 3rd disastrous visit. Shame as a nice pub. As always, very enjoyable with friendly service. I had the vegetarian roast but wasn’t keen on the meat alternative but the rest was delicious with friendly service and relaxed atmosphere. I travelled from Kent to meet a friend and would definitely come back . Excellent service from ALL members of staff. Attentive and friendly. Quite possibly the best roast dinner I’ve ever had and beautifully presented. Superb value for money. Service was exceptionally slow and inattentive. We had to visit the bar a number of times to get the waiters attention. The food is overpriced for what is served. I had the tortellini of which there were just 3 piece of small pasta. There were more flowers on the plate than actual food. The other main courses look better value for money. Will not be returning I’m afraid. Best roast lunch I have had in the  surrounding area in fact ever! Beautifully cuts  of succulent roast meat  enjoyed by the four of us, lamb pork on the bone and rare beef. Served well by the manager who couldn’t do enough for us. Wonderful service incredible food and worth every penny. Great local venue with good service and nice atmosphere. Only negatives are that perhaps menu needs livening up (starting to get a little boring after a number of visits) and the window tables are a little close together. Otherwise, very enjoyable visit. Dinner was perfect the food was delicious and the staff were friendly and helpful. A fabulous evening in the private dining room, wonderful service , excellent  food . We will all definitely be back . Thank you .